By adding AEB systems to the federal 5-Star Rating System, regulators hope to prevent rear-end collisions, a Denver car accident lawyer explains. As part of federal regulators’ continual efforts to prevent traffic accidents, officials at the U.S. Department of Transportation (DOT) have recently announced that they will be adding automatic emergency braking (AEB) systems to the federal 5-Star Vehicle Safety Rating System by 2018. Drivers’ braking force is not adequate to prevent the accident (dynamic brake support). Continue providing consumers with accurate, up-to-date vehicle safety information so that they can make informed choices when it’s time to buy a vehicle. The reason that this Rating System update is so significant, according to regulators, is that about 1 in every 3 traffic accidents in the U.S. is a rear-end collision and AEB systems can be remarkably effective at preventing these types of accidents. To help consumers understand the potential benefits of AEB systems, regulators have developed and published some online resources about them available here. Contact a Denver Car Accident Lawyer at Bell & Pollock, P.C. 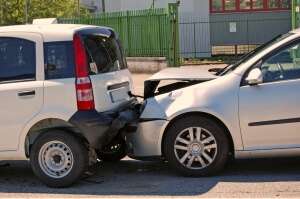 If you have been injured in a rear-end collision – or in any type of traffic accident that may have been caused by negligence, contact a Denver car accident lawyer at Bell & Pollock, P.C. for experienced help advocating your rights and pursuing justice. At Bell & Pollock, our lawyers are proud to be champions of the people, providing victims of negligence with superior legal representation to help them maximize their financial recovery.